About two months ago, the Belmont ‘L’ station in Avondale was in the press as a secondary part of CTA’s retirement of the 2200 series railcars. 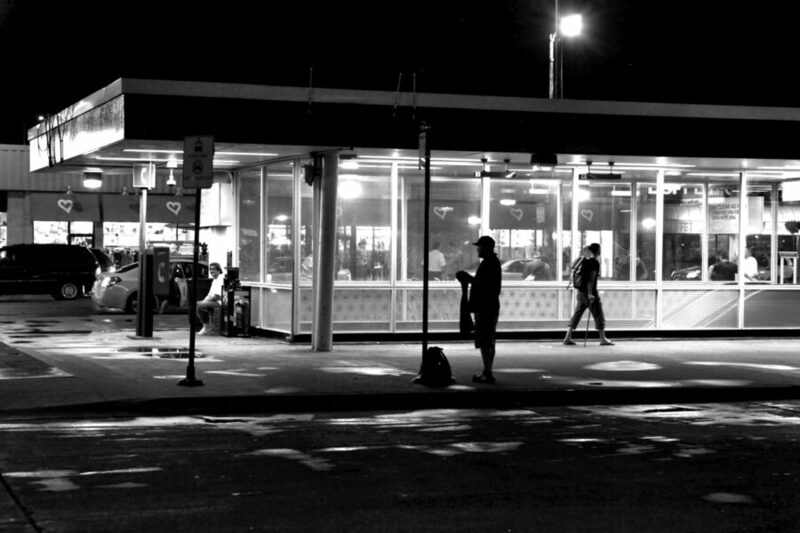 This transit station in the International Style, along with sister stop Logan Square, was designed by Skidmore, Owings, and Merrill along with the then-new stainless steel cars in the late 1960s. 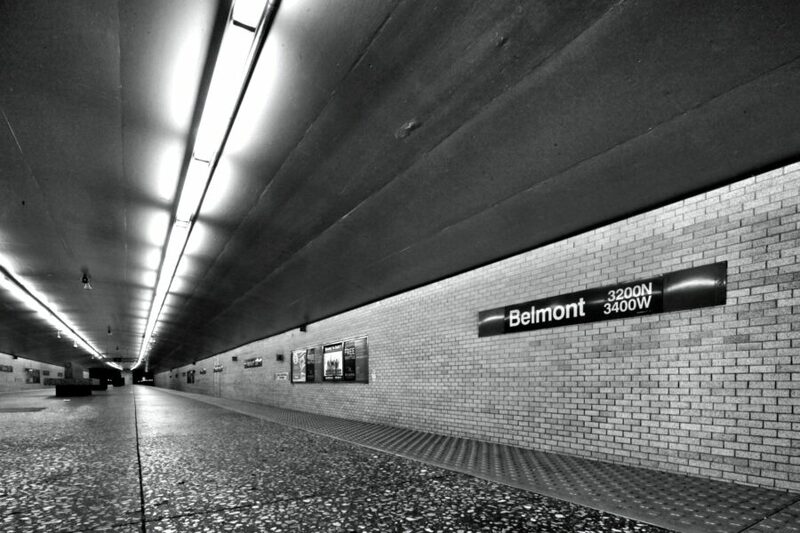 Although often overlooked as an architectural treasure, Belmont is a beautiful example of functional minimalism. Most ‘L’ stations break up the long visual plane with vertical columns. Belmont contrasts this by emphasizing its horizontal footprint with uninterrupted lines and a distinct lack of vertical columns. The extension of the Milwaukee Line of the West-Northwest Route (the forerunner of today’s Blue Line) reached its new terminal at Jefferson Park via a new subway and the median of the Kennedy Expressway. 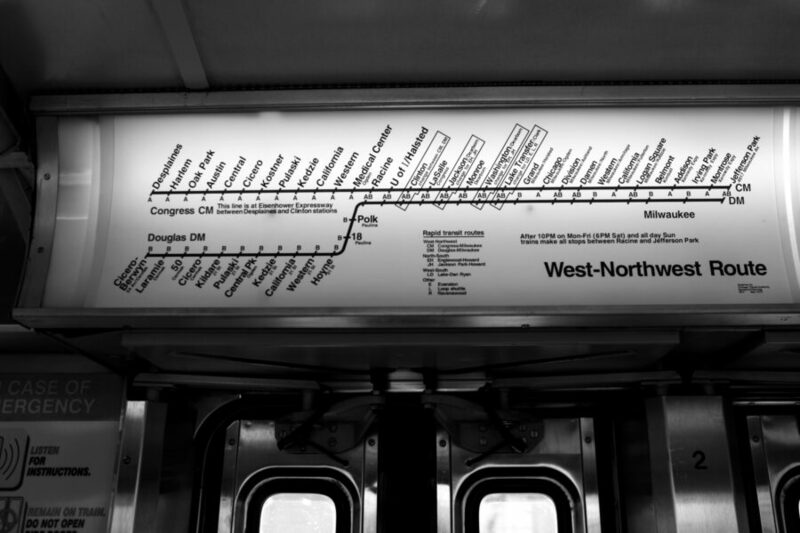 Two stations, Logan Square and Belmont, were built as part of the Milwaukee-Kimball Subway, the only subway stations built as part of the entire Kennedy-Dan Ryan (“KDR”) project. 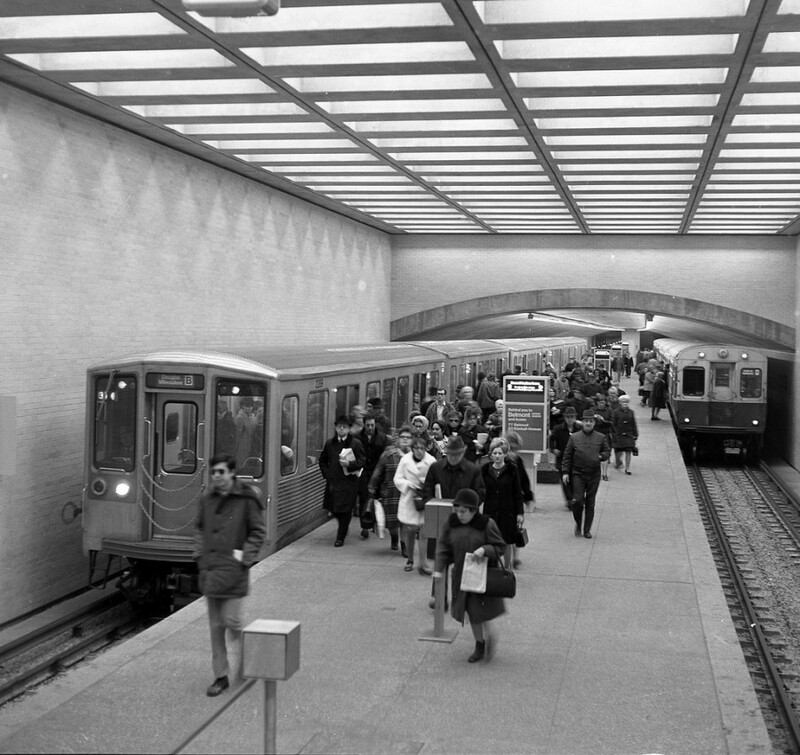 Passengers exiting the 2200 series trains at Belmont in 1970. 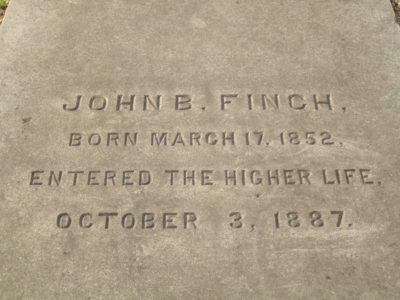 Image courtesy of and copyright CTA. 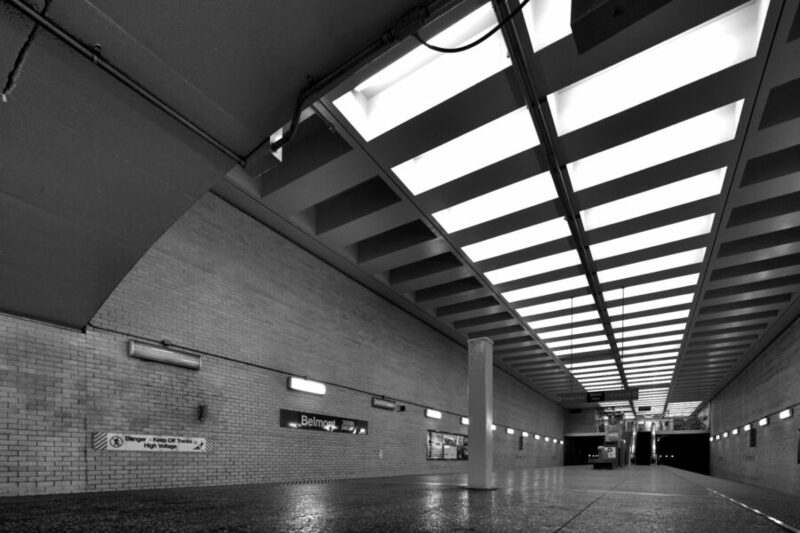 One of the station’s noteworthy features is the curved concrete ceiling that matches the arc the 2200 series roofline. 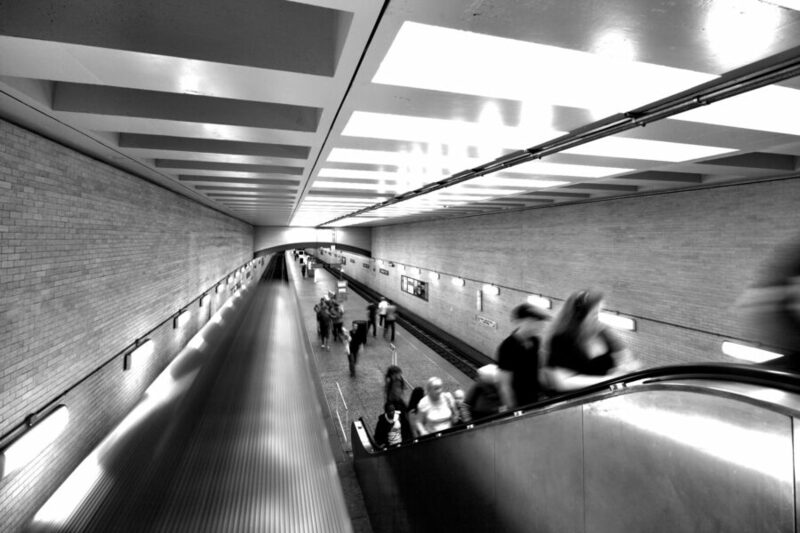 The photograph above from 1970 shows the harmony that can exist between transit vehicle and a station station. Today’s CTA rolling stock maintains a similar look with a grooved stainless steel roof. Newer cars that run on other lines feature the fluted side paneling that was introduced with the 2200 series. An edge-to-edge tessellated ceiling provides a visual transition as you escalate toward the mezzanine, but unfortunately the light banks on the left and right side have been disabled. As you can see in the 1970 photograph posted further up, they once projected a repeating geometric pattern on the upper interior walls. Modernist structures old and new frequently utilize a cantilevered roof as a means of providing shade for building occupants. 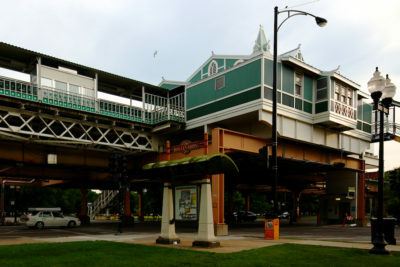 In the case of Belmont and Logan Square stations, the wide overhangs serve as shelter for those using the station as a connecting point. 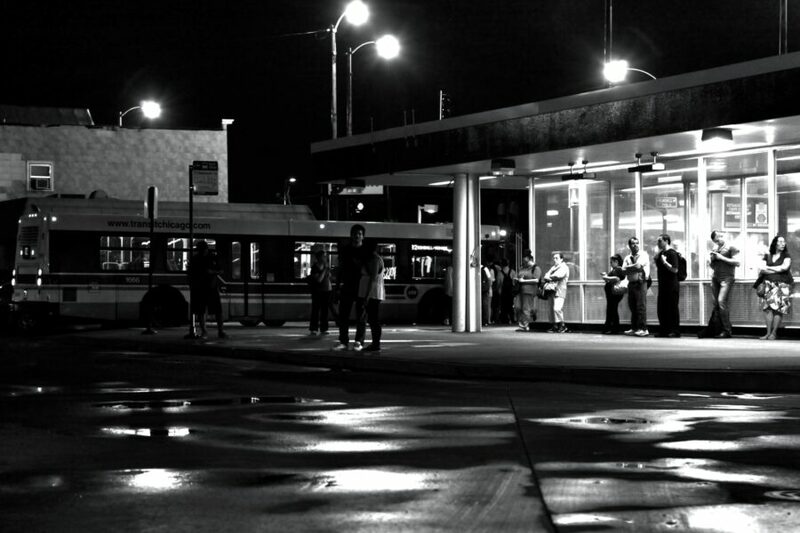 Both of the stations serve as intermodal bus terminals. While “not fancy” or “plain” are common descriptions of the Belmont stop on the Blue Line, I think there’s a special elegance to this station. A muted glass and steel structure for egress/ingress is just enough, but not too much. Although the railcars designed in tandem with this station are now retired from service, their midcentury modern appearance lives on. 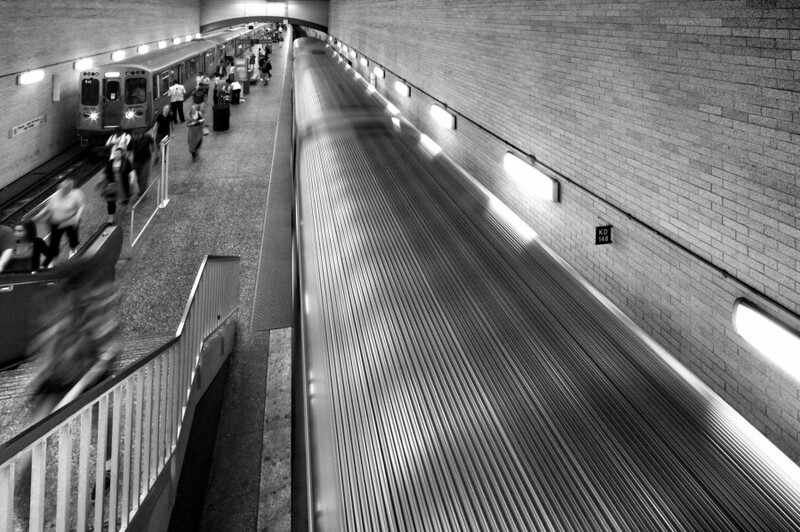 The stainless steel trains with large windows and minimal flair that Chicagoans ride today trace their roots to this station (as well as Logan Square).